First Ever Phone-A-Thon a Success! On Monday, March 26, JustWorld held their first ever Phone-A-Thon at JustWorld Headquarters at Belle Herbe Farm. Thanks to Ambassadors, supporters, and donors, JustWorld reached their goal of the event, which was to raise funds to support teachers’ salaries before summer starts. During the event, Ambassadors and supporters reached out to their friends and family to invite them to support education by funding teachers’ salaries at JustWorld’s programs. They shared JustWorld’s mission and explained that education is a vital component to breaking the cycle of poverty and instrumental in giving children a hope for a brighter future. The Ambassadors explained to their network their involvement with JustWorld, exactly why they are passionate about the accomplishments of the organization over the past fifteen years, and how the work isn’t done yet. JustWorld went LIVE on social media for viewers to watch, laugh, and raise funds important to sustaining the JustWorld basic needs programs for children around the world. The Phone-A-Thon was also a great way for supporters to participate outside of Wellington. Ambassadors in other states and countries joined in to make their calls in addition to supporters calling in from home with their gifts. 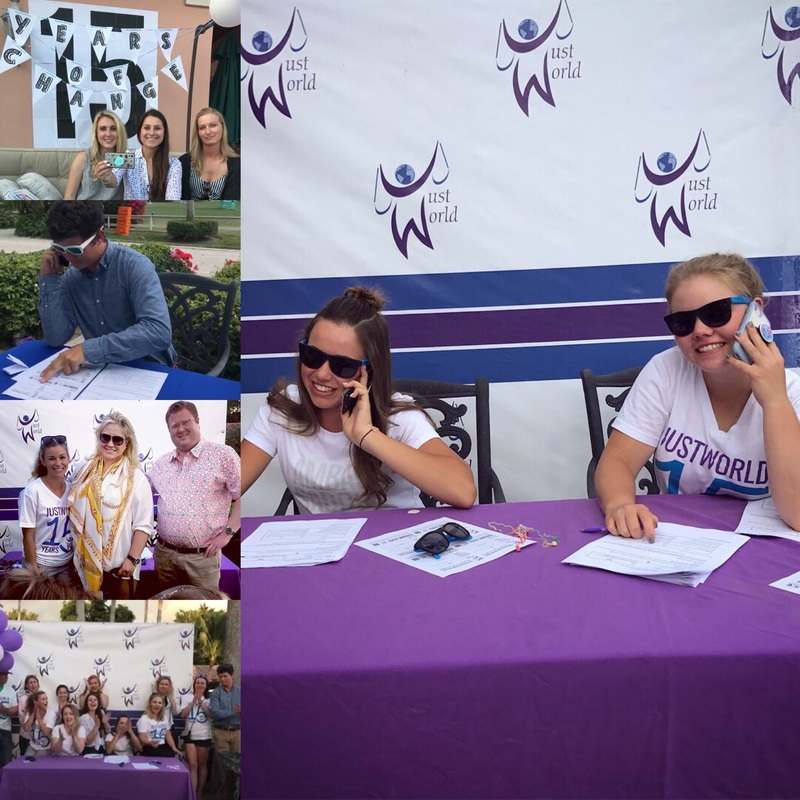 The JustWorld Phone-A-Thon was an incredible example of how equestrians from all around the world can come together to give back to thousands children in need and accomplish amazing change. Fifteen years since JustWorld began, riders continue to raise awareness and funds for life-sustaining programs. Click Here to learn how you can become a Member or an Ambassador!